Compact capacitive sensor system 0,05 - 10 mm 0.01 % F.S.O. ± 0.05 % F.S.O. Capacitive measuring system for industrial applications 0,05 - 10 mm 0.01 % F.S.O. ± 0.05 % F.S.O. Modular multi-channel measurement system for highest precision 0,05 - 10 mm 0.0005 % F.S.O. ± 0.025 % F.S.O. Capacitive multi-channel system for maximum resolution 0,05 - 10 mm 0.00008 % F.S.O. ± 0.025 % F.S.O. 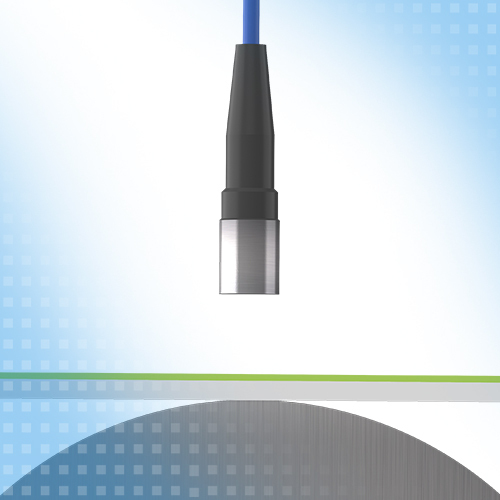 The special sensor design, triaxial sensor cable and innovative controller technology result in a perfectly matched measurement system. 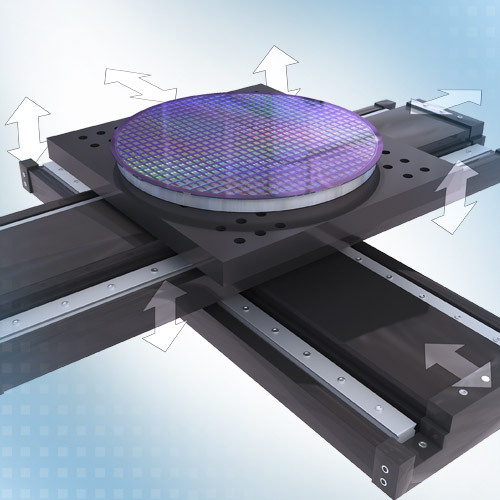 Therefore, capaNCDT measurement systems stand for high precision and signal stability. 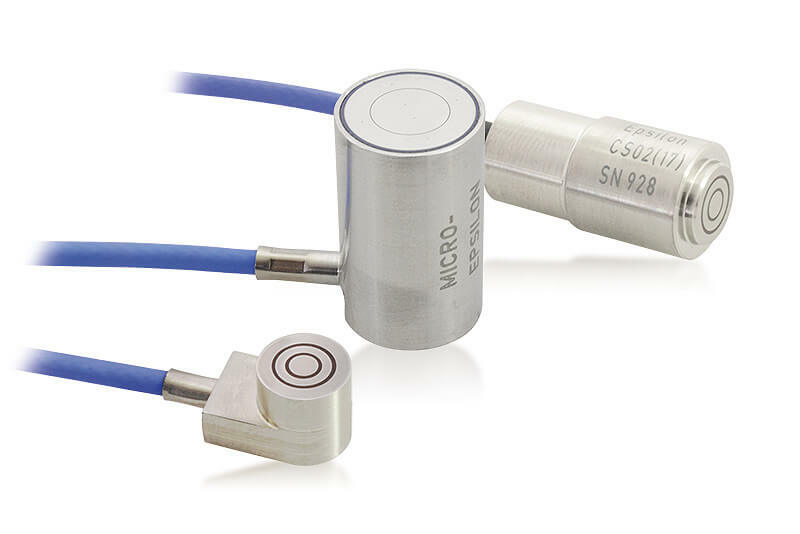 Even in industrial applications, capacitive sensors achieve resolutions in the submicrometre range. We adapt our measurement system to customer-specific measurement tasks according to your instructions, e.g. design, target calibration, cable lengths, modified measuring ranges or sensors with integrated controller. 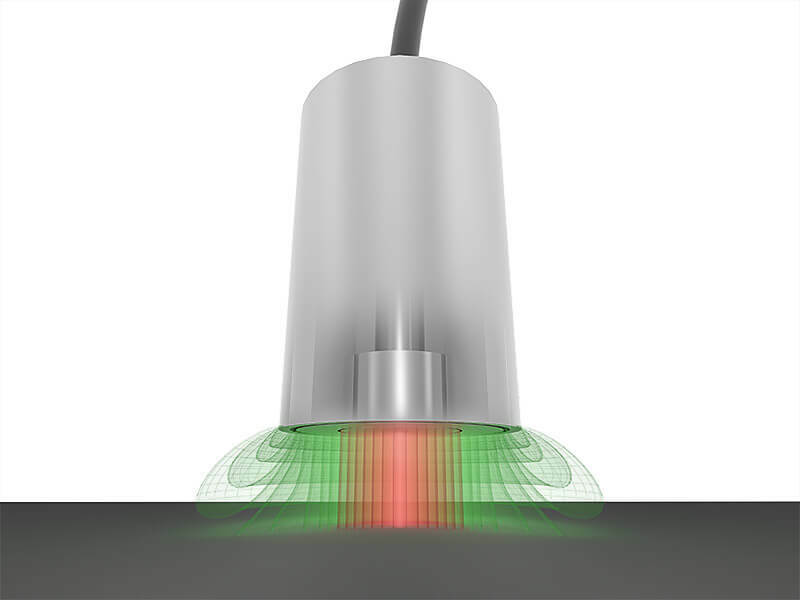 Learn more about sensor adjustments. 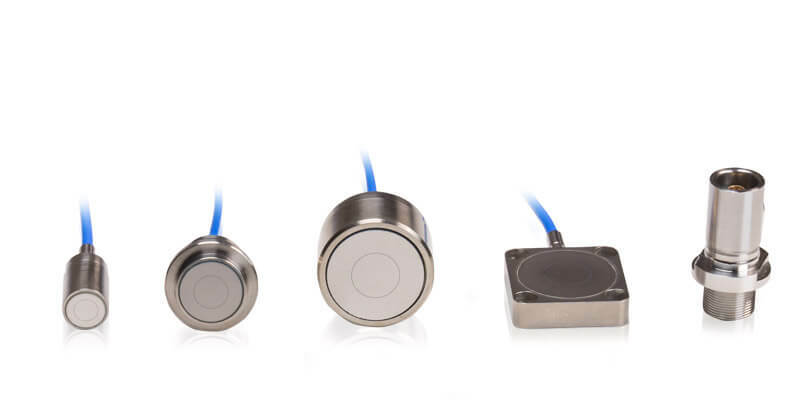 Capacitive displacement sensors from Micro-Epsilon are often used in vacuum and clean room applications where they achieve resolutions in the subnanometer range in particle-free surroundings. 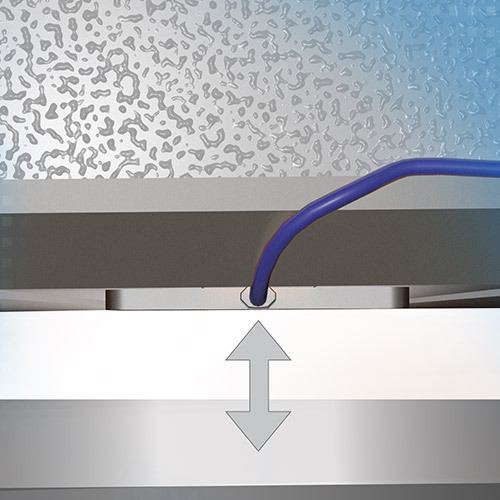 For vacuum applications, Micro-Epsilon offers special sensors, cables and feed-through accessories. 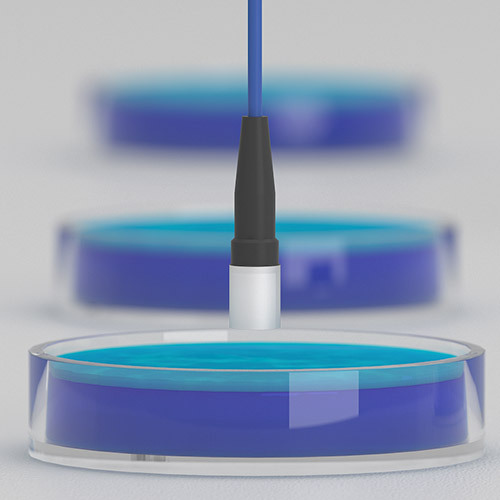 These sensors and cables are particle-free to a high degree and used in clean rooms up to clean room class ISO1. 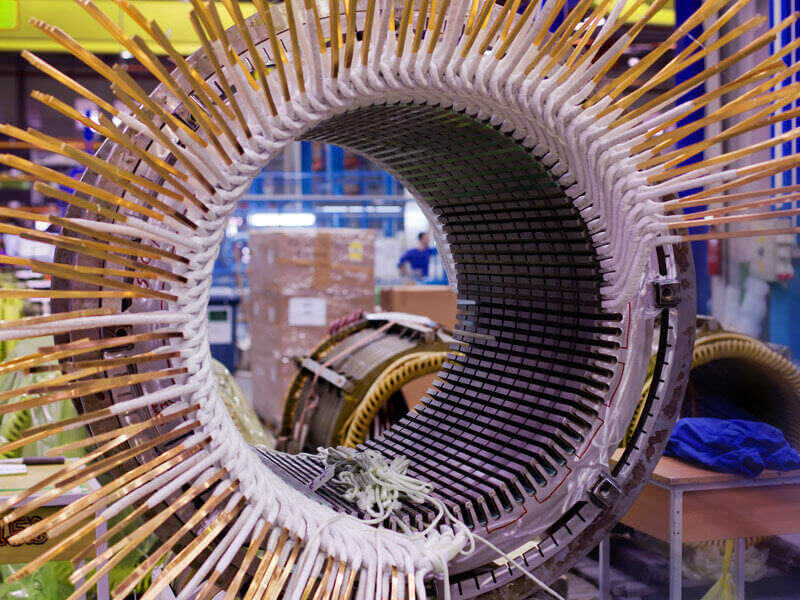 For environments with strong magnetic fields, Micro-Epsilon offers sensors and sensor cables which are made from non-magnetic materials such as titanium and stainless steel. The shielding achieved by the triaxial design provides extremely high immunity to interference. capaNCDT sensors, cables and controllers can be interchanged quickly and easily. Due to their innovative technology, additional calibration and linearization is not required. Easy interchangeability of capaNCDT components and the simple replacement of sensors with different measuring ranges can be carried out on site within a short time frame. 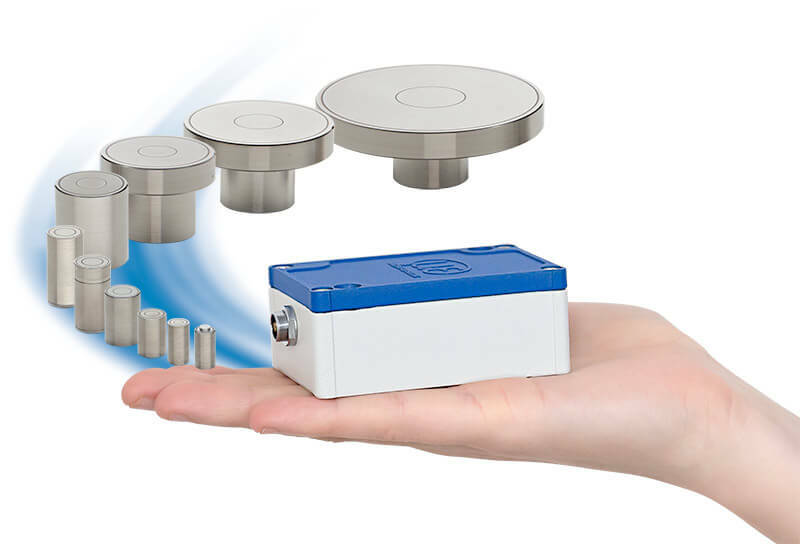 Micro-Epsilon offers the worldwide largest variety of combinations in capacitive displacement measurement. The modern capaNCDT controllers are equipped with different interfaces such as analog, Ethernet and EtherCAT. 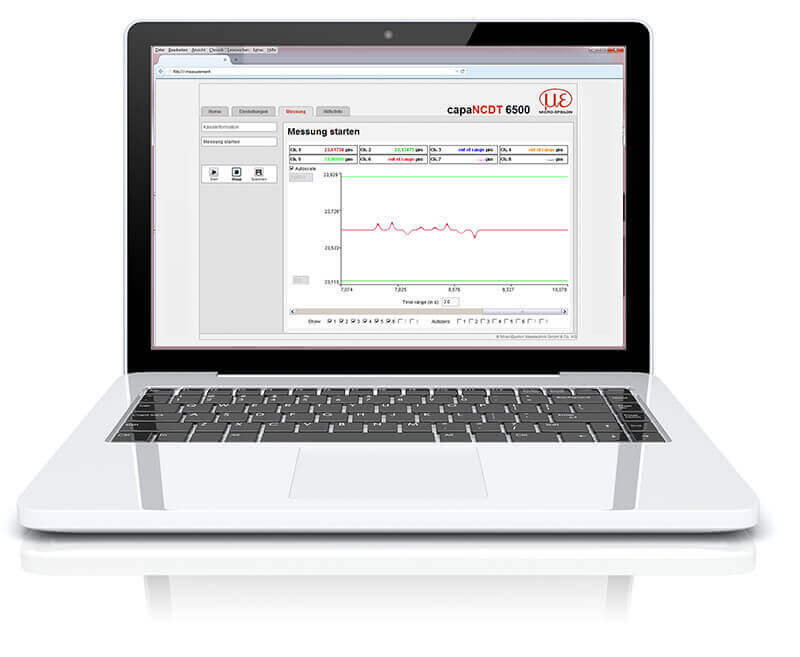 Capacitive measurement systems can be easily adjusted using a web interface displayed via a web browser. The controller is connected to a PC via an Ethernet interface. Settings, filters and arithmetic functions are subsequently stored directly in the controller.